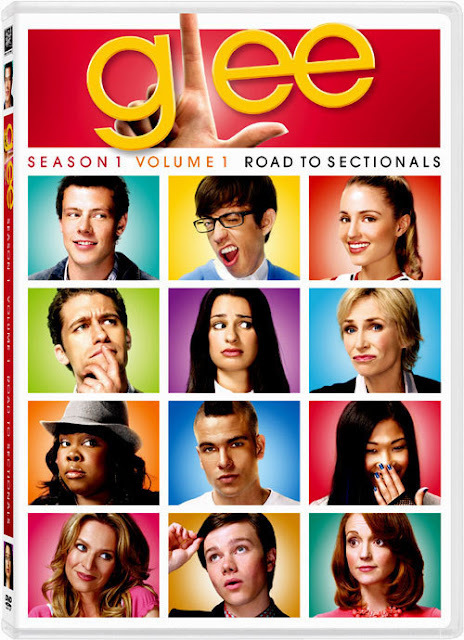 For my housemates and me, our go-to recreational TV show we watch when we have time is Glee. It started with finding the first half of Season 1 on DVD in the house, and I remember that first week before we had work, we would watch two, sometimes three episodes at a time laughing at hilarious Sue Sylvester lines to hearing something amazing coming from the voice of Rachel Barry's character. One thing I like about Glee is that even though it may seem like they break into song wherever they are (it the last episode before Rachel and her mom sang Lady Gaga's "Poker Face", the piano player randomly showed up. Rachel said: "He seems to always be around".) they do it in a very authentic atmosphere---they are a show choir club, and when they sing, it's most likely because they're "completing the assignment" for the week. In this same way, I've noticed that by having my guitar at St. Francis College, playing and singing a song authentically happens with me in the high school just like it does (somewhat) in the show's McKinley High. In my second week at the school, one of the English teachers told me I could help out with a play he's directing produced by the seniors. I remember walking into the chapel where they were kind of messing around, one guy on the piano, another on a guitar, another on a drums, others practicing choreography. I told them, "Que puedo hacer? Estoy aqui para ayudar. (What can I do? I'm here to help)" The guy on guitar, Eduardo, saw I had one, and told me I could learn this song, "Wish You Were Here" by Pink Floyd that he was going to sing for the play. So he taught me it, string by string, plucking and strumming combined, as he sang. The group listened, Mauricio, another senior, whipped out the harmonica and played a solo midway through. The next week, I ended up not having time to be in the play, but I remember watching Eduardo sing it. He was good man. I wish you were here to have seen it. One night for prayer, Jordan had us tell the group a song that is significant to us. I chose "Blessed." I told them I primarily like the song because it was one of my favorites to play at CUA because of the fast rhythm and use of percussion. I'm a music first, lyrics second kind of guy. Then over the summer, the song had become a healing piece for me. It's a song (apparently based on verses from the Book of Job, I found out this summer) that's about blessing God's name in times of happiness and sadness. The lines that have always touched me, and even more this summer, are the ones repeated in the bridge: "You give and take away/ You give take away/ My heart will choose to say/ Blessed be Your name." Coincidently, Jenny, my boss asked me to play a song the next day after school, and I told her exactly this story. And I played it for her, and she asked me to play it again so she could sing along. And we played and sang it again and again. Since the day Mario, one of my fellow co-workers, saw me play guitar, he has been asking me to teach him some "American rhythms" and to teach him to "play like that." I said con gusto (with pleasure) and during exams week two weeks ago, we got together when the day ended to jam. I asked him first to teach me what he knows, and taught me a little Calypso, a famous type of music in Costa Rica, and I tried to follow, but quite frankly couldn't keep up as well. Strumming and beating with just my hand is kind of hard, and kind of hurts, considering I have bronze guitar strings and not soft nylon ones like him. Then I showed him some of my stuff, which weren't catching either with him, until we realized we both knew "Dust in The Wind" and "More than Words." Sick! We jammed out and partied like it was 1999. Finally, the other week my boss Jenny came into work looking a little triste (sad). I knew why---she had just been to two funerals in three days. After talking, she saw I had my guitar on my lap (I just happen to have it out because I had some free time) and she said, "Mateo, play me a song." I looked around in my book, and found just the song for her, "Eternity." I told her the song's message is primarily about spending our life with God, but I've always felt it could be a song you could sing to your future spouse sans the bridge. But after talking to her, I realized the song's message could also be about the pain ending for both someone who died and his/her loved ones, knowing life spent for that person will be spent with God. I played and sang it for her. I could tell by the time I finished, she had cheered up. It was no question that I was going to bring my guitar to Costa Rica. Though, I had no idea I would use it in the ways I have so far. Tomorrow, one of my students and I will play and sing at the old folks home that we visit every Thursday afternoon. If music is the only thing I can offer the people here, well, so be it. And no, I'm not Mr. Schuester or even Puck, the jock guitar player, but if if I can leave people with that same warm-feeling I got when those two performed "Somewhere Over The Rainbow" in Season 1's finale, well, I guess that's something. As Shakespeare once said, "If music be the food of life, play on."